Before coming to terms with their diagnosis, people with diabetes generally go through a series of stages. If you or someone you know has just been diagnosed with diabetes, it’s important that you get the information you need from the resources available in your community to complete the adjustment process and be able to actively take part in your treatment. This guide is a tool that complements the information you’ll receive from the various healthcare professionals you’ll meet (nutritionist, nurse, doctor, pharmacist, kinesiologist, etc.). 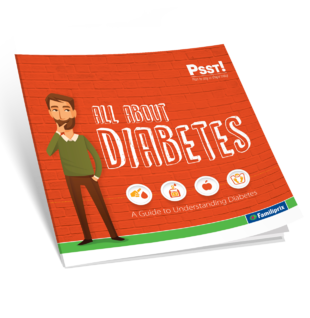 Its goal is to help you better understand what diabetes is, what the different types of diabetes are, how to monitor your blood glucose at home, what the potential complications of diabetes are, and how to prevent them. You can reduce your risk of developing type 2 diabetes or pre-diabetes! Are you at risk of developing pre-diabetes or type 2 diabetes? Are you a woman with diabetes planning to get pregnant? Monitoring your blood glucose at home is not that complicated! How do you choose a blood glucose monitor? How do you monitor your blood glucose? When and how often should you monitor your blood glucose? How do you know whether your results are accurate? How do you prevent complications of diabetes?